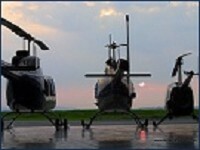 Learn to be a Helicopter Pilot. 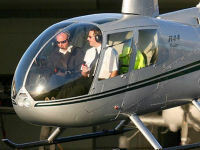 Complete 5 hours flying tuition and 5 hours ground school, and get the knowledge to begin the PPL(H) course. Great Fun and Highly Addictive! 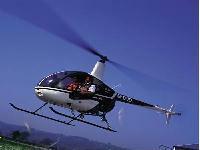 Learn to Hover and control the Helicopter in flight. 10 hour, with 5 hours in the air. 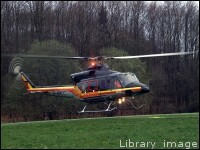 A real oportuntity to learn more about helicopters. Includes pre- and post-flight briefings; 2 hours of flying during which you will look at the early exercises required for the PPL(H). Friends and family welcome. Wow! What a day. 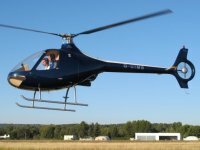 You will pilot the R44 helicopter for a whole two hours hands on! This experience also includes refreshments, lunch and ground school. Two friends welcome to accompany the student pilot. The Introductory trial day is highly recommended to those students serious about gaining their PPLH. 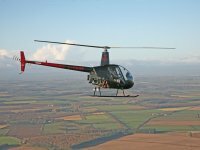 Your day will comprise of two and a half hours of flying in the Robinson R22 helicopter, several ground briefings and lunch. 5 hours, with 150 minutes in the air. Wow! What a day. 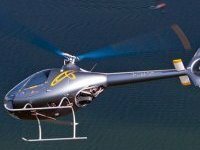 You will pilot the state of the art Cabri G2 helicopter for a whole two hours hands on! This experience also includes refreshments, lunch and ground school. Always wanted to pilot a helicopter? Make your dream come true. This is a truly hands-on experience - you'll be operating the controls for part of the flight. You'll see the beautiful Dorset coastline from the ultimate viewpoint. 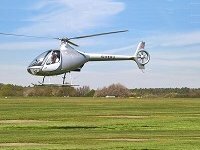 Experience the magic of rotary flight in this full 60 minute flying lesson in a 4 seater helicopter. 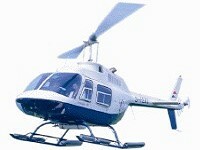 Includes pre-flight briefing; chance to take the controls; hover challenge and certificate of flight. 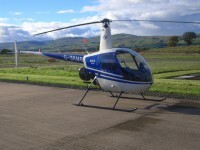 After a pre-flight briefing you will take to the skies for a full hour in a Robinson R44. Once airborne, you will get the chance to take the controls. Includes hover challenge and certificate of flight. Spectators welcome at the airfield. Enjoy the thrill of a Lifetime. 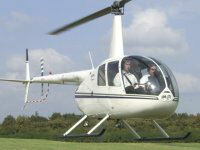 Experience a lesson in a helicopter over the beautiful Kent counrtyside and take up to 2 friends. For some, the trial lesson will be a one off thrilling experience, for others it will be a foundation stone on which to build upon - the ultimate ticket to fly. For all, it will be a truly unique and memorable experience. 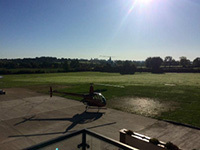 Enjoy a 30 minute briefing and a 60 minute flight in the Robinson R44 from Bristol International Airport. Mix it with Easyjets and RyanAirs while you take the controls of the helicopter under the supervision of your helicopter instructor. 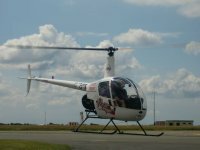 A 60 minute trial lesson and hover challenge in the 4 seater R44 helicopter, which also includes a ground and safety briefing and certificate. Up to 2 friends or relatives may accompany you on the flight, subject to pilot discretion. After a short preflight briefing you will take to the skies. 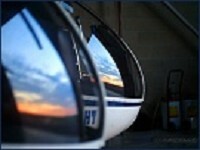 You will get chance to take the contols and try flying the aircraft for yourself. If you are up for it you can try the ultimate challenge - hovering. One person may accompany you. 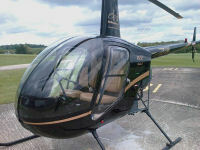 A 60 minute trial lesson in a modern 4 seater training helicopter. After take off you will get chance to take the controls. You can also take 2 friends with you to sit in the back. Take a Trial Flight with an experienced instructor and amaze two of your friends with your flying prowess! You are shown how the controls work and then fly the helicopter yourself. Fantastic! Bring your cameras and videos to capture it all! 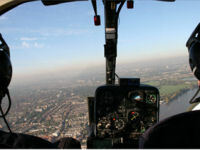 A real oportuntity to master, or attempt to master, one of the most challenging aspects of helicopter flight! 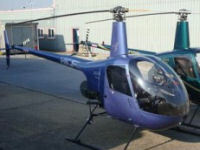 Includes 2 hours of flying in a modern 2 seater training helicopter. Friends and family welcome to come and watch and take photographs. 3 hours, with 2 hours in the air. 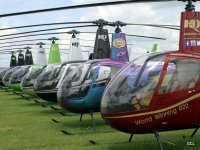 Spend a Morning or Afternoon sampling the Life of a Helicopter Pilot and fly 2 sorties with some of the best Helicopter pilots in the World! 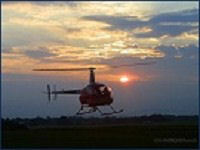 Discover the fun of helicopter flying for yourself or give a memorable and exciting gift to a friend. 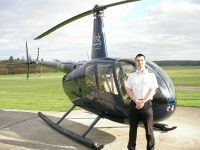 Student will fly the aircraft throughout the 30 minute lesson. Includes signed certificate of achievement. Enjoy the thrill of a Lifetime. 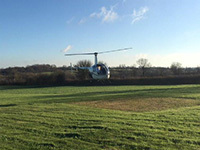 Experience a lesson in a helicopter over the beautiful Kent counrtyside and take up to 2 passengers. 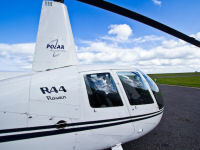 Enjoy a 30 minute briefing and a 45 minute flight in the Robinson R44 from Bristol International Airport. Mix it with Easyjets and RyanAirs while you take the controls of the helicopter under the supervision of your helicopter instructor. 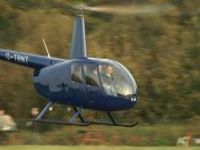 Enjoy a 30 minute briefing and a 60 minute flight in a Robinson R22 from Bristol International Airport. 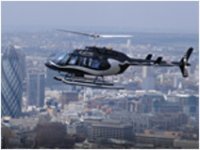 Mix it with Easyjets and RyanAirs while you take the controls of the helicopter under the supervision of your helicopter instructor. Experience the thrill of a Lifetime. 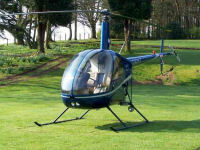 Try your hand at flying helicopters in the Garden of England. 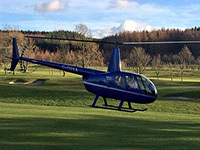 Experience the magic of rotary flight in this full 30 minute flying lesson in a 4 seater helicopter. Includes pre-flight briefing; chance to take the controls; hover challenge and certificate of flight. 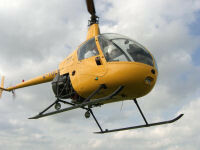 After a pre-flight briefing you will take to the skies for a full hour in a Robinson R22. Once airborne, you will get the chance to take the controls. Includes hover challenge and certificate of flight. Spectators welcome at the airfield. After a short preflight briefing which will cover the controls and how they work you will take to the skies. You will get chance to take the contols and maybe attempt the ultimate challenge of hovering! Warning - it's addictive. 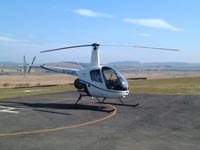 After an informative technical and safety briefing, you will join your instructor in the 2-seat helicopter and lift off on a thrilling 60 minute ride when you will also be invited to take the controls. 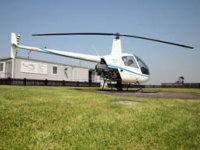 Take a Trial flight where you fly with a pilot, be shown how the helicopter controls work, and have the option to take control and experience the thrill of flying a helicopter yourself. Marvel at spectacular aerial views and be exhilarated. 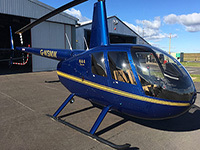 Enjoy a 30 minute briefing and a 30 minute flight in the Robinson R44 from Bristol International Airport. Mix it with Easyjets and RyanAirs while you take the controls of the helicopter under the supervision of your helicopter instructor. 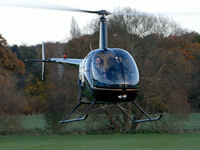 A fantastic 1 hour trail lesson in a Robinson R22 above the stunning sites of the Kent country side. 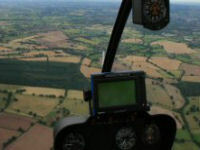 A 60 minute trial lesson in a modern 2 seater training helicopter. After take off you will get chance to take the controls. 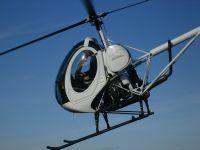 Trial flying lesson in a Robinson R22 helicopter with 20-minute pre-flight briefing and 60 minutes in the air. 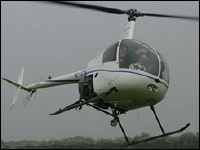 Your opportunity to experience the magic of rotary flight in this 60 minute lesson. 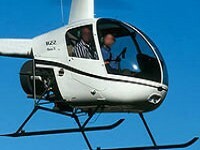 Includes pre-flight briefing; chance to take the controls; chance to have a go at hovering and certificate of flight. Friends and family welcome. 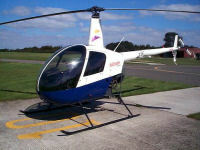 After a short preflight briefing you will be taking to the skies in a Robinson R44. 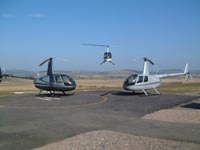 After a short flight during which you can take the controls, you will return to the airfield and have a go at hovering. Spectators welcome at the airfield. After a short preflight briefing you will take to the skies for the flight of a lifetime. 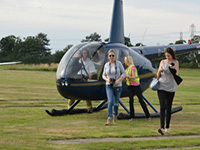 You will also get chance to take the contols and have a go at flying the aircraft for yourself. One person may accompany you. 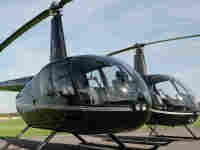 Enjoy a 30 minute briefing and a 45 minute flight in a Robinson R22 from Bristol International Airport. Mix it with Easyjets and RyanAirs while you take the controls of the helicopter under the supervision of your helicopter instructor. 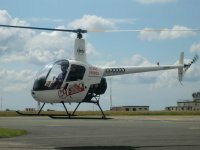 A 30 minute trial lesson and hover challenge in the 4 seater R44 helicopter, which also includes a ground and safety briefing and certificate. Up to 2 friends or relatives may accompany you on the flight, subject to pilot discretion. 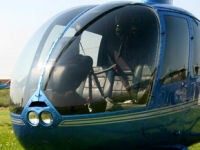 This is your chance to get hands-on and fly a helicopter! Your experience will start with a short classroom briefing then it is your turn to show the instructor what you have learnt during a practical lesson of 60 minutes. 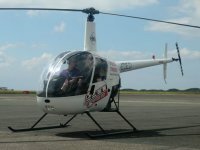 A 30 minute trial lesson in a modern 4 seater training helicopter. After take off you will get chance to take the controls. You can also take 2 friends with you to sit in the back. 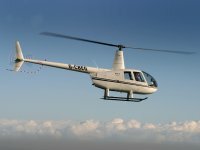 This is your chance to get hands-on and fly a helicopter! Your experience will start with a short classroom briefing then it is your turn to show the instructor what you have learnt during a practical lesson of 45 minutes. 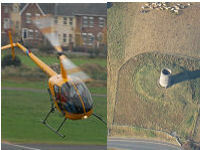 Enjoy a 30 minute briefing and a 30 minute flight in a Robinson R22 from Bristol International Airport. Mix it with Easyjets and RyanAirs while you take the controls of the helicopter under the supervision of your helicopter instructor. 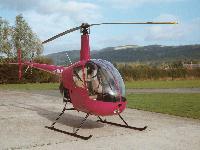 A 15 minute trial lesson and hover challenge in the 4 seater R44 helicopter, which also includes a ground and safety briefing and certificate. You've seen the Angel of the North, the bridges and the river Tyne. Now experience the ultimate high and see them from a different angle. 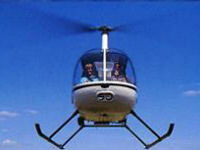 Take to the air for 30 minutes in a Robinson R22 two seat, dual control piston engine helicopter! 1 hour, with 25 minutes in the air. 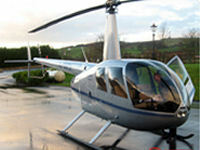 Take control of our R22 helicopter for a short (20 minute) lesson over the Ards Peninsula. 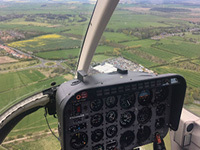 Then a 30 min flight in a light aircraft over the beautiful scenery of the Ards Penninsula or wherever you choose - maybe fly over your own home. 2 hours, with 50 minutes in the air. After a short pre-flight briefing you will be taking to the skies in a Robinson R22. 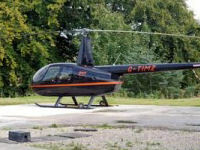 After a short flight, during which you can take the controls, you will return to the airfield and have a go at hovering. Spectators welcome at the airfield. 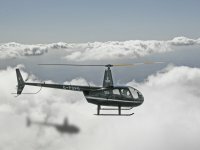 If you've ever wanted to try flying a helicopter, then this is the flight for you! This 1 hour experience includes a 30 minute brief on the aircraft controls, then a 30 minute flight where you can have a go yourself! 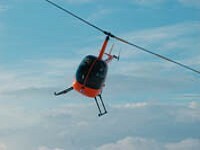 After an informative technical and safety briefing, you will join your instructor in the 2-seat helicopter and lift off on a thrilling ride when you will also be invited to take the controls. 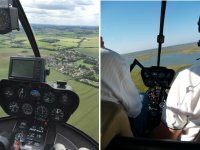 A fantastic 20 minutes trail lesson in a Robinson R22 above the stunning sites of the Kent country side. 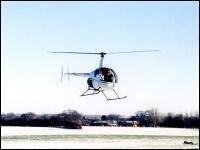 A 30 minute trial lesson in a modern 2 seater training helicopter. After take off you will get chance to take the controls. 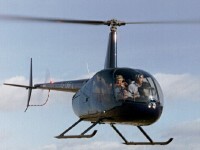 This is your chance to get hands-on and fly a helicopter! Your experience will start with a short classroom briefing then it is your turn to show the instructor what you have learnt during a practical lesson of 30 minutes. You've seen the Angel of the North, the bridges and the river Tyne. Now experience the ultimate high and see them from a different angle. 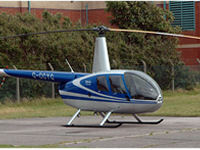 Take to the air for 20 minutes in a Robinson R22 two seat, dual control piston engine helicopter! 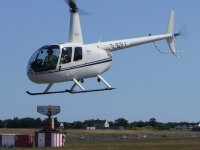 Trial flying lesson in a Robinson R22 helicopter with 20-minute pre-flight briefing and 20 minutes in the air. 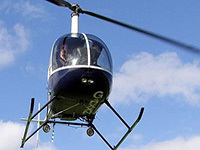 This is your chance to get hands-on and fly a helicopter! Your experience will start with a short classroom briefing then it is your turn to show the instructor what you have learnt during a practical lesson of 20 minutes. 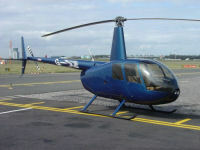 After a short preflight briefing you will take to the skies in a Robinson R22. 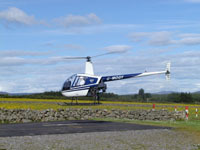 After a short flight, during which you can take the controls, you will return to the airfield and have a go at hovering. Spectators welcome at the airfield. 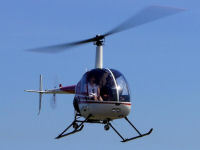 This is your chance to get hands-on and fly a helicopter! Your experience will start with a short classroom briefing then it is your turn to show the instructor what you have learnt during a practical lesson of 15 minutes.